With the ever increasing interest in water conservation, Leisure Controls International Ltd has experienced a big increase in demand for coin, card and token operated Timers suitable for controlling water usage. In particular, the ET30 Timer, which has been approved by the Government sponsored Water Technology Authority for use in the control of water consumption. 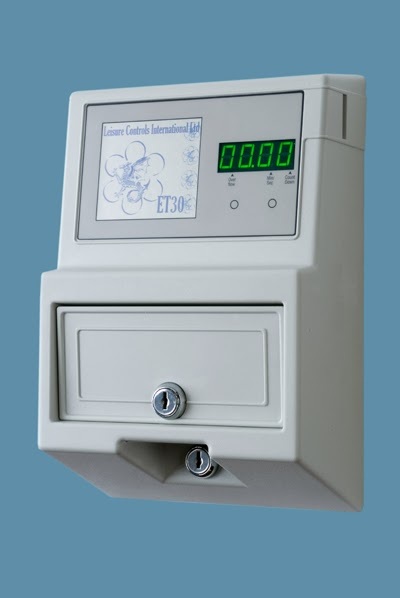 The ET30 operates by coin, card or token and can be wired to a solenoid valve which allows the flow of hot or cold water for a pre-determined period of time. This can be programmed into the ET30 by the site operator. A large number of sales have been made to Campsite operators, who are not only interested in recovering the cost of supplying hot water, but also in ensuring that water is not wasted through showers and taps being left to run all night.